As some of you may have heard, November 2018 marked the last Southern Steel Guitar Convention after over 30 years of fine picking. I couldn't let this tradition that Jerry Reece and Joe Turner had poured in so much of their hard work fade away. I approached Willie Wells, of Bill's Music Shop and Pickin' Parlor in West Columbia. We have teamed up to begin hosting the steel guitar convention at the Music Shop. The next show, now renamed the South Carolina Steel Guitar Convention (SCSGC), will be held at Bill's Music Shop on May 11th & 12th. The format for Saturday jam will be slightly different but the Sunday event will stay very near the same as the SSGC that Jerry and Joe hosted. Our SCSGC will continue to honor Jerry's Dad, Charles Reece and Buddy Walker, as well as Jerry Reece and Joe Turner for their tireless efforts. We are building a Facebook page and will launch that in January. Hotel arrangements will be published here and on the FB page as we finalize details. If you are interested in playing at the convention or planning to attend please contact me. We look forward to carrying on the PSG tradition in SC. Please plan to attend at the new location. You won't be disappointed. Below is a picture taken in 2013 at the SSGC of one of the participants. I am interested in attending the convention and would like information on the detail and motels in the area. Thanks for the update. Looking forward to the first show. I plan on being there and would like to play. Theres a couple of players from here in Northern Virginia that plan on coming with me. Question, how will the Saturday evening format change? Red Zum, Russler, Telonics Amp, and a Lexicon MK200 Effects. Brian looking forward being at this show if possible if don't have to work that weekend. With some great pickers😀 will let you know when it gets closer to that time Thanks my friend. James, will put you on both the FB and email list. Look forward to meeting you. Chuck, in the past it has been a jam session on Saturday night with the house band. Willie has been having a dance night every Saturday and we are throwing around a couple of options to keep the dance crowd attendance, incorporate the jam type format, using the country house band so the crowd participation remains high as well as utilizing the PSG talent. Nothing has been cast in stone as yet. It's looking very good however. We would welcome you all from VA to come join us. We will keep you informed, put you on the email list. Will be posting updates on here as we get closer to the event. Thanks for the response. Look forward to meeting you. Bring some friends. Tron, we had a great time at the last one. Look forward to doing it again. Thanks Brian. Wayne Smith and I plan on being there. Wish this was a little closer to Missouri. Watch out for that Lawson feller!!!! Happy New Year to you and Jean. We are making progress to the transition to Columbia, from Belvedere! Just ask for the Bill’s Pickin Parlor Group. Rooms are priced at $62.95 plus taxes. Call Jan 803-730-1288 or email wwjr0715@gmail.com with any questions. In case you missed it, we are moving forward towards our first SC Steel Guitar Convention, an extension of the Southern Steel Guitar Convention. Please take a look and LIKE and FOLLOW us. I will do my best to keep both the Forum and the FB page up to date. If we are still in GA, I hope to be there. Will know more a little closer to time. Brian, email me your flyer (or I can create one) and as soon as the GaSGA show is over, I will do a bulk email for you. Bill, will do so. Hope to see you soon at the GA Steel Show. Always a pleasure. FYI. Willie Wells is in Nashville with his Blueridge Mountain Grass for a couple of showcase events. He called me this morning to let me know he was headed over to the Steel Guitars of Nashville, in Hendersonville to talk with Buck Reid about a possible lineup for a guest artist and workshop (on Saturday) for our show. Our good friend, Jim Hartley who is currently drumming for Mel Tillis, Jr. (Buddy), is helping Willie meet more pickers and others around the town. Wish I was there with him in Music City. I'm really getting excited about this show. It is shaping up to be a good one. FYI, my friend from Lexington, SC, Dan Knight (Cowboy) is in Nashville recording a new album of songs he has written; a gifted writer. He was visited by his longtime friend, Thom Bresh, yesterday during the taping session. Dan played steel on the road with Ferlin Husky for over 10 years. We have a website up and running. Take a look and provide some feedback for us. Staci has done an outstanding job getting it up and published. As a reminder, the hotel block has been set up at the Clarion. IF YOU MADE/MAKE A RESERVATION FOR THE CONVENTION, PLEASE LET THEM KNOW YOU ARE BOOKING FOR THE SHOW TO GET THE DISCOUNT PRICE & TO GET OUR ROOM BLOCK CREDIT FOR FUTURE BOOKINGS. If you made a reservation please let us know so we can check or call the Clarion and check to see you are with the block. Thanks. I just received great news! 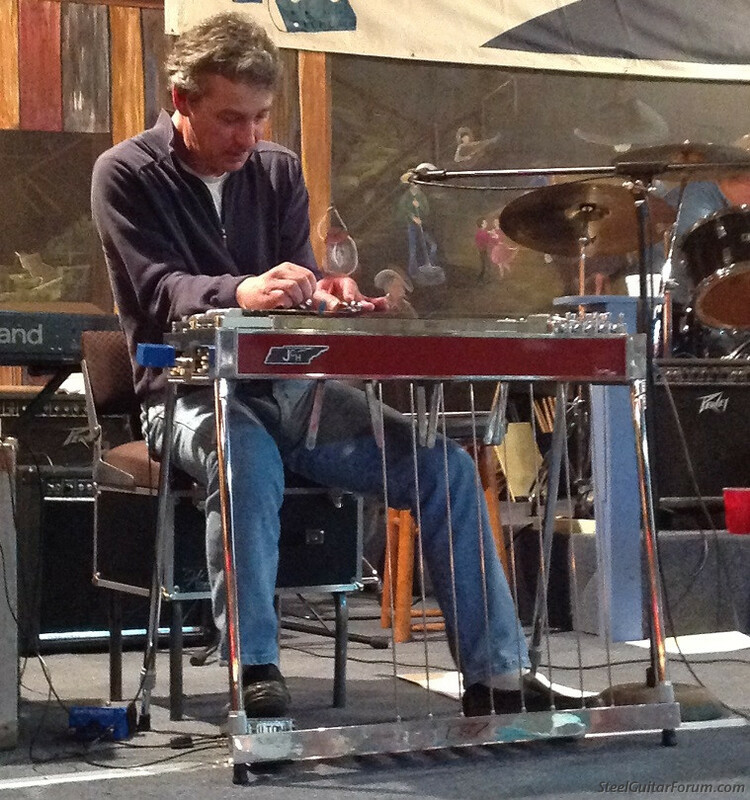 Buck Reid, Nashville session steel guitarist and steel guitarist for Lyle Lovett, for nearly 18 years will be coming to West Columbia, SC to the SC Steel Guitar Convention May 11th and 12th as our featured artist. 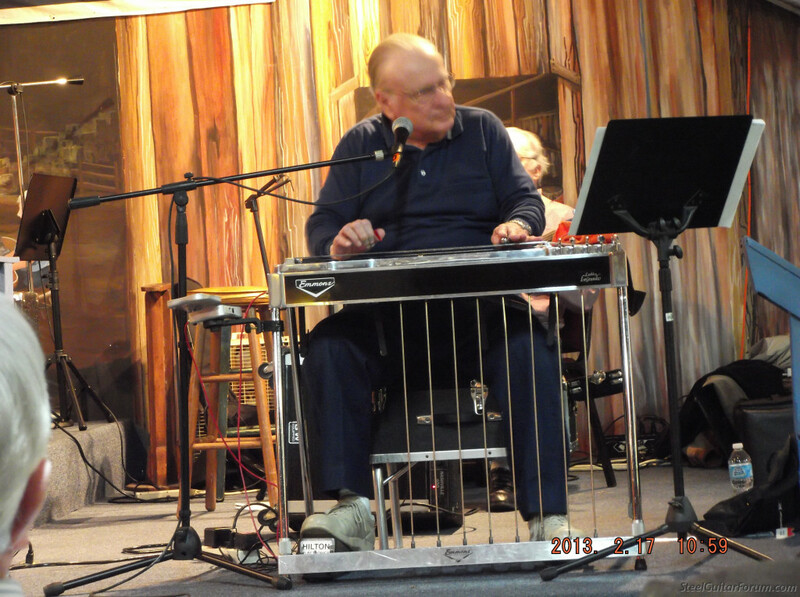 Buck will be holding a pedal steel workshop on the 11th from 11 a.m. until 3 p.m. for anyone interested in learning the finer points of pedal steel guitar. I have met and heard Buck play. He is a very personable individual and awesome musician. He can play the C6th neck and do some great jazz/blues numbers. I am excited to see him again and will be at his workshop! Our First SC Steel Guitar Convention is shaping up to one you don't want to miss. Along with our guest artist, Buck Reid, our very own Kenny Martin, who has played at the Grand Ole Opry with The Marshall Tucker Band as well as many other country entertainers, will be part of the lineup. John Swain, Roger Crawford, Tron Standridge, Bill Ferguson, and several others have tentatively scheduled to attend and perform. As the lineup is confirmed we will update and post here and on the Facebook page. Wendell Gurley has confirmed that he will attend and grace the crowd with his awesome vocals. I just sent out a test email to those I have contact information. If you did not get an email and would like to be included in the future, please send me your contact info. Thanks. we are excited about having Buck Reid at our show in May. I plan to be there. Don't think I'll try to play though. As some of you may know I'm recovering from lung cancer surgery (10 Dec 1 . Top lobe left lung removed. It ain't been no picnic but my Dr. says as of now I'm doing well and cancer free. I haven't tried to play for quite some time leading up to the surgery but hope to soon get back in the mix again. Great to see the Convention continuing. Sorry to hear this Bill. Glad your getting better.